The world of tech never stands still for long, and today we've got updates on upcoming Apple hardware, visual changes for Google's mobile apps, a new camera from Nikon, and extra features for Alexa in today's roundup – all courtesy of our friends at TechRadar. In a mere two months we should get a look at Apple's new iPhones for 2018, and the rumours and speculation are pouring in. Today, a new report from a reasonably reliable Apple source says that the cheapest of the three new iPhones is going to come in flash yellow and a brown-ish taupe, among other colours – ready to make a purchase yet? A video leaked by a creative agency working with Google has given us a sneak preview as to what its mobile apps could look like in the future – and there's a lot of white. Following the Material Design principles that Google has already laid down, the likes of Gmail and Google Maps could soon be getting even more minimalist looks. Watch this space. Yesterday we brought you the rumour, but today we can give you some official news. Nikon has now revealed that it is indeed working on a full-frame, Nikon-FX-format, mirrorless camera – it's going to feature a new lens mount as well, with a new line of Nikkor lenses, and a launch event is scheduled for the 23rd of August, so check back then. Google has been using a simple USB dongle to keep its staff safe from phishing attacks, the company has revealed. The security key acts as another level of account protection, so even if someone has stolen username and password details, they can't log in without the USB stick. No successful hacking attacks have been reported for more than a year. 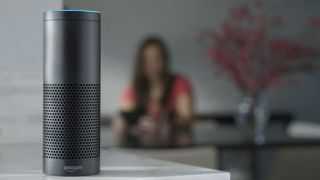 Amazon's digital assistant app Alexa continues to get smarter and smarter – and the latest feature to roll out to Amazon Echo devices is an equalizer controlled by Alexa. You can use voice commands to change the mids, the highs, or the bass in the audio you're listening to, and a few presets are available too. The new functionality is rolling out in the US first.